If, come the end of this football season, I find myself experiencing marriage difficulties, then it’s all Tony Incenzo’s fault. Now, while it may seem slightly harsh to blame marital problems that don’t (and hopefully won’t) exist on someone I’ve never met, allow me to explain. I’ve been a Twitter follower of Tony’s for some time now. For anyone who is not aware of him, the Talk Sport commentator is famed for the sheer amount of football matches that he’s attended. Well over 5,000 at the time of writing. To be honest, I don’t know whether I’m more impressed by the quantity or the fact that he has documented every single match in a journal dating back to the 1970s. I have absolutely no idea how many matches I’ve been to over the years – and would stand no chance of being able to work it out. Anyway, in recent months a more staggering statistic that has been shared by Tony to his Twitter followers (well, I think so anyway) is the fact he’s visited over 2,000 grounds. 2,000! Now this was a stat that I thought I might stand more chance of working out. By my calculation (and I’m bound to have forgotten one or two) I reckon I’ve visited somewhere between 40 and 50 professional and non-league grounds in my lifetime. A frankly paltry amount. But this season all this is going to change. It’s my intention to go and watch at least one match every week this season – all at different grounds. Most of these grounds will be confined to the Sussex area, simply due to my commitments coaching children at 5Ways football in Brighton on Saturday morning and taking my eldest to Withdean Youth training on Tuesday evenings. But if and when I can, I will get further afield. 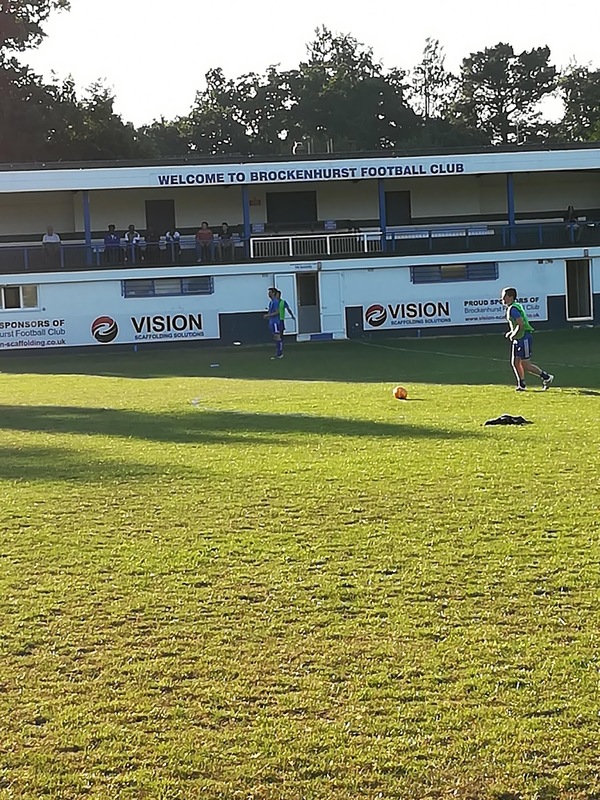 Just under two weeks ago, I was on holiday in the New Forest, and instead of spending ANOTHER evening watching Cyril and Sybil Squirrel strut their stuff on stage at the holiday camp where we were staying, I instead snuck off to watch a pre-season match between Brockenhurst and New Milton. I was glad I did. 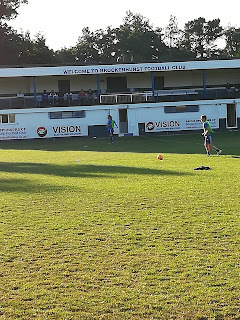 An evening at a picturesque ground, in bright sunshine and heaps of goals (the game finished 7-1 to Brock) was I can honestly say, far more entertaining than watching Cyril and Sybil singing ‘let’s go nuts’. I’m in Liverpool in a few weeks, so I’ll be searching out a game there, too. 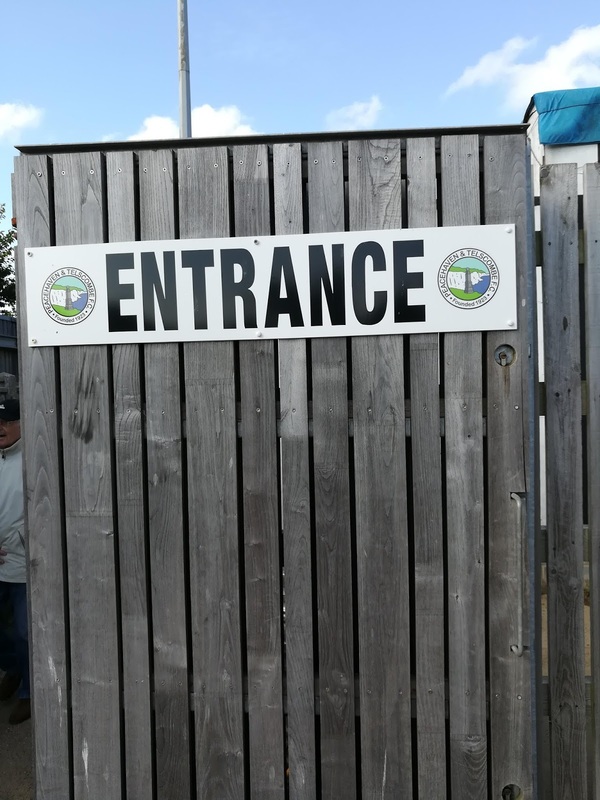 Last Saturday, I was back closer to home – watching Peacehaven draw 2-2 with Cobham. That said, I’ve visited Piddinghoe Avenue hundreds of times before so it doesn’t really count. So far, the wife doesn’t seem too disheartened by my plans. I think the caveat that I’ll take our boys with me to the Saturday games has somewhat placated her. The offer of a few child-free hours on a Saturday afternoon is too tempting to moan about. So this afternoon (4th August) while my wife and children are off out at her sisters, I’ll be in Uckfield watching AFC Uckfield take on Horsham in the opening round of Southern Combination Premier League fixtures. I’ve never been to The Oaks before, despite it being located around half-hour to where I live, so I’m looking forward to it. 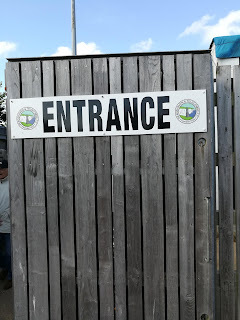 Each week I’ll be providing a brief report on each game I attend (something I haven’t done since being a match reporter for my local newspaper back in the late 1990s), and some observations about the ground, local fans, etc. Hopefully at no point over the next nine months will I be reporting on any marital strife. If I do, then Tony, you’ve got a lot to answer for.